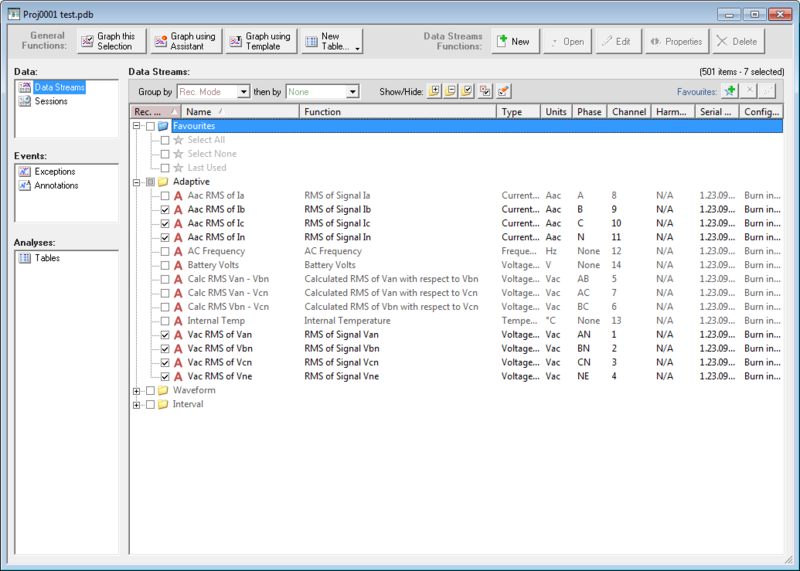 Pronto for Windows is Outram’s full-featured Windows-based power quality software designed to extract data from the Outram Power Master family of data loggers and power quality analysers and present it graphically for analysis. Using straight-forward icons and keyboard commands, you can graph and analyse data and create hard copy reports. Pronto for Windows is the only program you will need to communicate, analyse, report and manage data as well as configure the data logger itself. Selection of icons from the toolbar makes all commonly used instructions such as zooming, statistical analysis, annotation, playback and printing as easy as pointing and clicking the mouse. File management is greatly improved through the use of projects which define how the data will be stored, grouped and how it will appear on screen and in reports. Easy-to-follow dialogue boxes provide step-by-step choices for all data management tasks. Read our ’14 Great Things You can do with Pronto for Windows’ booklet for step by step instructions. Watch our Video Tutorials Online. Export tables straight to Excel or PQDIF for further analysis . 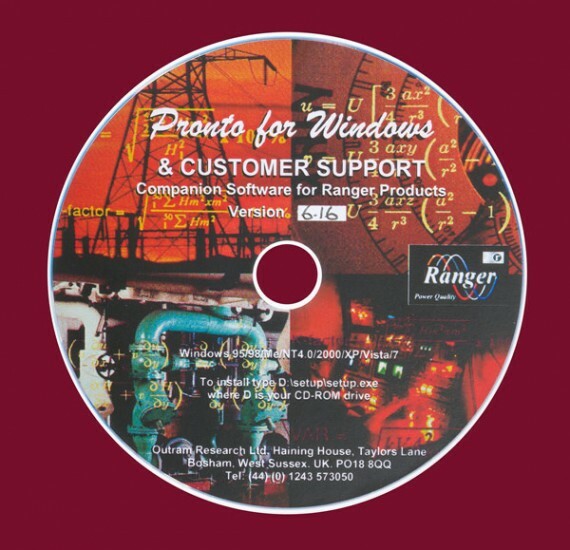 Pronto software is included with all Outram (Ranger) data loggers amd power quality analysers. Configure data loggers locally or remotely. Download data by modem from multiple loggers. Create views to display and print data in any form. Comprehensive, context-sensitive, on-line help system. Insert text and objects anywhere on the view. Create exceedence reports with a single keystroke. What can you get from PRONTO? 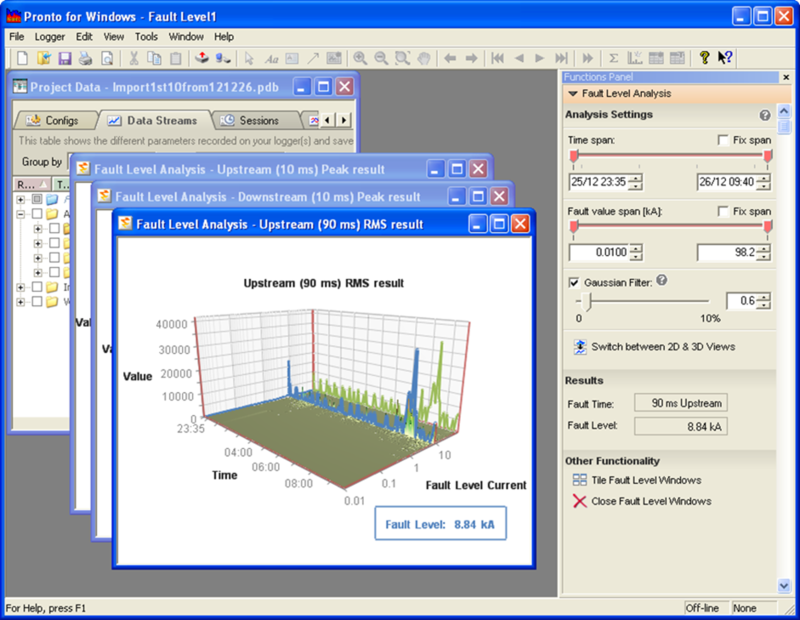 Generate graphs and tables suitable for EN50160 reports. Our Adaptive Store recording regime can deliver enough detail to indicate whether a disturbance is coming from upstream or downstream of where the measurement was taken. Work it out by looking at the relationship between the voltage and current data streams. From your own recorded data in Pronto you can load the same configuration back into the analyser to record the same measurements again and again. Technical support is available from those who either designed the unit or have over 20 yrs experience with the Ranger and PM series. Who better to instruct you how to make the most of your analyser? Manage and save your favourites to create the same graphs recording after recording. Through the use of easy to follow ‘assistants’ and pre-loaded templates create graphs and tables for emails and hard copy reports simply and quickly. Simply ‘copy & paste’ graphs into any word processing program and export tables straight to Excel or PQDIF for further analysis . Use the 3D or 2D representation of your recordings to ascertain the Fault Level on your network during the recording period.